Ohio State University a Tradition of Excellence. 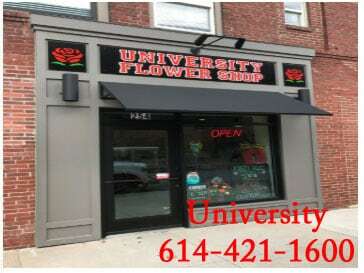 The University Flower Shop has been a part of the OSU campus since 1932 and is located in the heart of the campus near the corner of Neil Avenue & 11th Avenue. 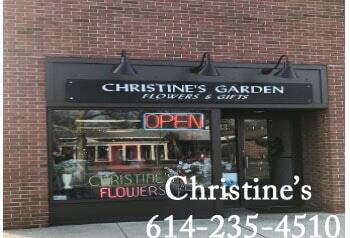 Just one block from the OSU Medical Center, Mirror Lake and the Oval! Ohio State University is a public institution that was founded in 1870. It has a total undergraduate enrollment of 42,082, its setting is urban, and the campus size is 3,469 acres. Ohio State University was ranked in the top 50 of Best Colleges in a National University review of top schools. Its in-state tuition and fees are $9,735 (2011-12); out-of-state tuition and fees are $24,630 (2011-12). Located in the state capital of Columbus, The Ohio State University is a sprawling school with seemingly endless opportunities for students to get involved. There are more than 900 clubs and organizations on campus, including about 65 fraternities and sororities. Sports are another big part of campus life, with the Ohio State Buckeyes competing in the NCAA Division I Big Ten Conference. The athletic teams are named after the state tree and cheered on by mascot Brutus Buckeye. The football stadium, which was completed in 1922, is listed in the National Register of Historic Places. All Ohio State freshmen must live in one of the 37 residence halls across campus, unless a student is from Central Ohio and can commute from home. The Ohio State First Year Experience offers freshmen orientation, mentors, and special programming to ease the transition into college. Local community service opportunities are easy to find through the school’s Pay It Forward program, which includes an online listing of volunteer events. Students can also study abroad in more than 40 countries through Ohio State. Ohio State offers a wide variety of graduate programs through its highly ranked College of Education and Human Ecology, Max M. Fisher College of Business, College of Engineering, College of Medicine, and Michael E. Moritz College of Law. At the undergraduate level, Ohio State offers more than 175 majors. Wow!!!! We are proud to be a part of OSU's rich tradition of excellence, GO BUCKS!